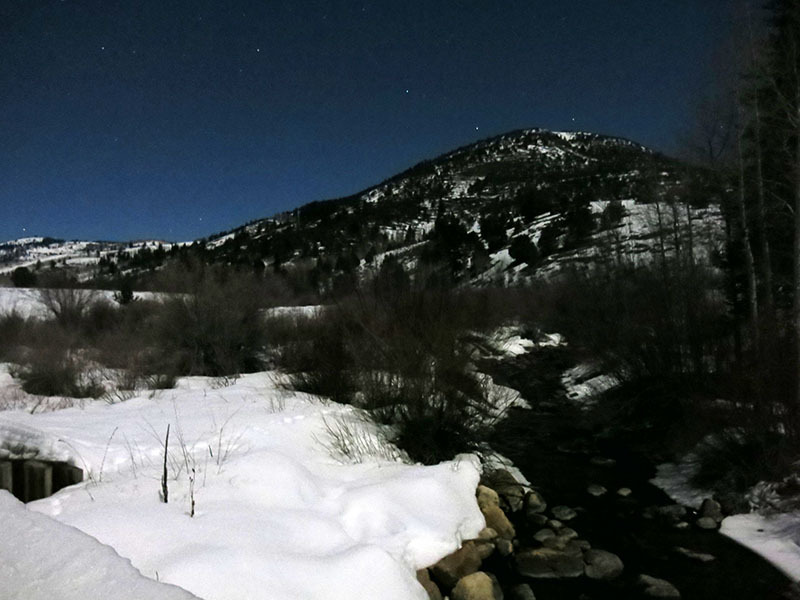 21 Cache Hikers enjoyed a memorable night outing in Franklin Basin under a cloudless sky and a nearly-full moon. 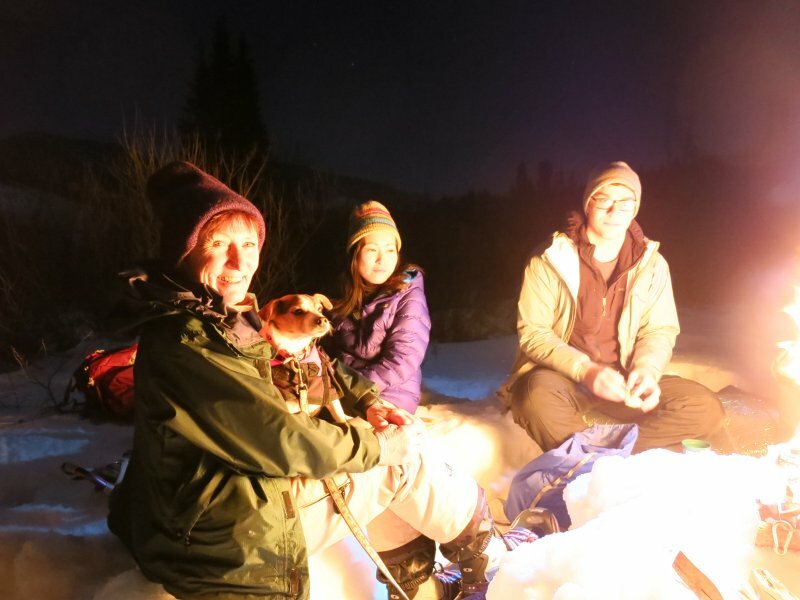 Jane and trip leader Dave W were on cross-country skis, while Lavae, Kip, Brent, Terry, Robin, Jeanne, Jill, Jeremy, Chris, Stephanie G., Slade, Carol J., Jolene, Matt, Jordan, Monika, David L, Alexi and Carol K used snowshoes and Monika's dog Fritzi was "on foot". 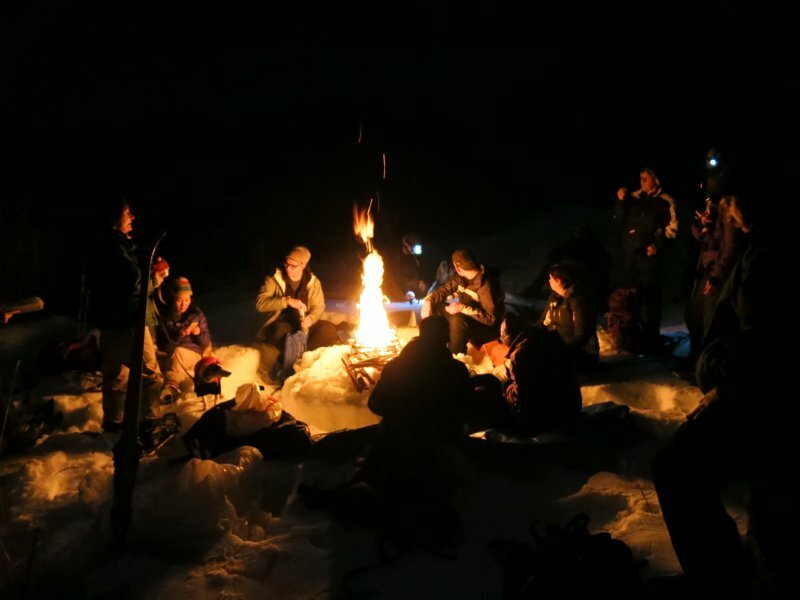 The group organizing into carpools and set out for the 25-mile trip to Franklin Basin. 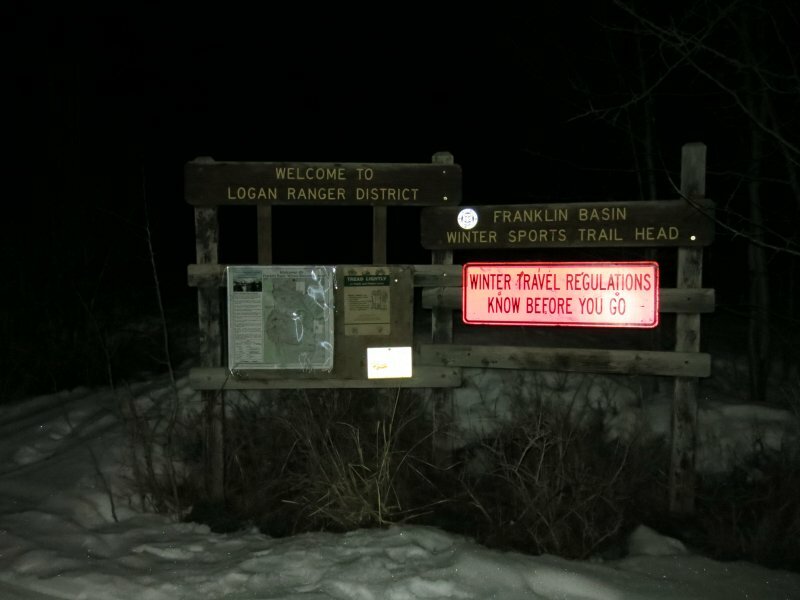 Arriving at the Franklin Basin Winter Trailhead about 7:00 p.m., everyone donned their skis and snowshoes and headed out into the moonlit snowscape. The moon was already bright and high in the sky, although it was several days before the date of the actual full moon. 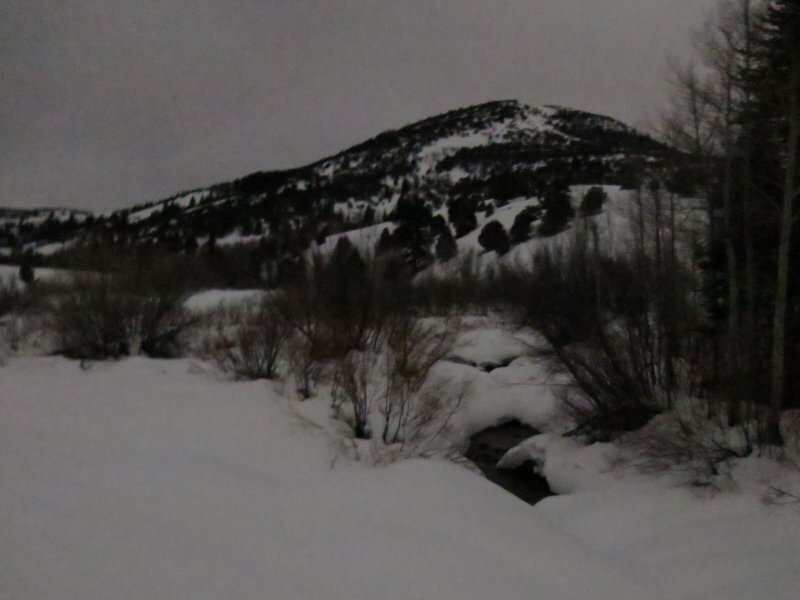 We followed the Logan River into Franklin Basin under the natural illumination of the night, with icy snow crunching under skis and snowshoes. 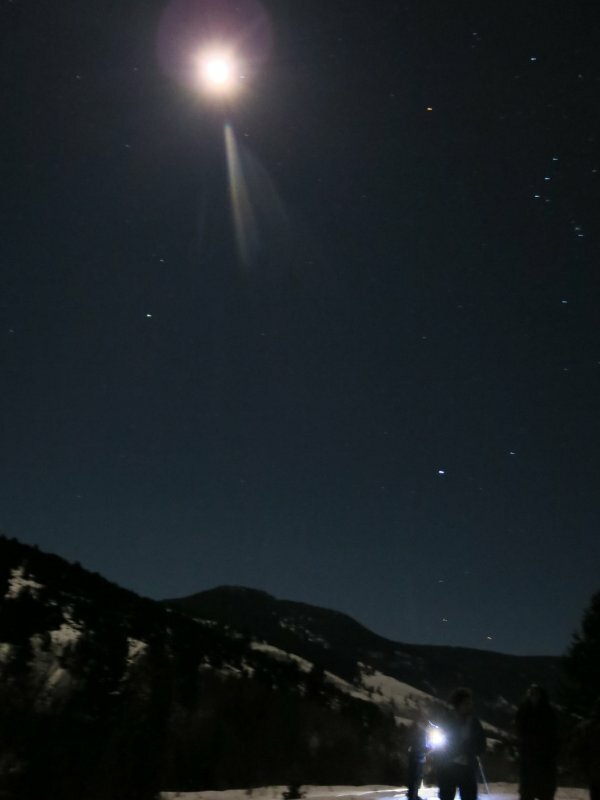 We saw familiar constellations overhead, although the bright moonlight masked our view of dimmer stars. About 8:15 we arrived at our destination near Hansen Hollow, with previously-prepared seating and a ready-to-light campfire. 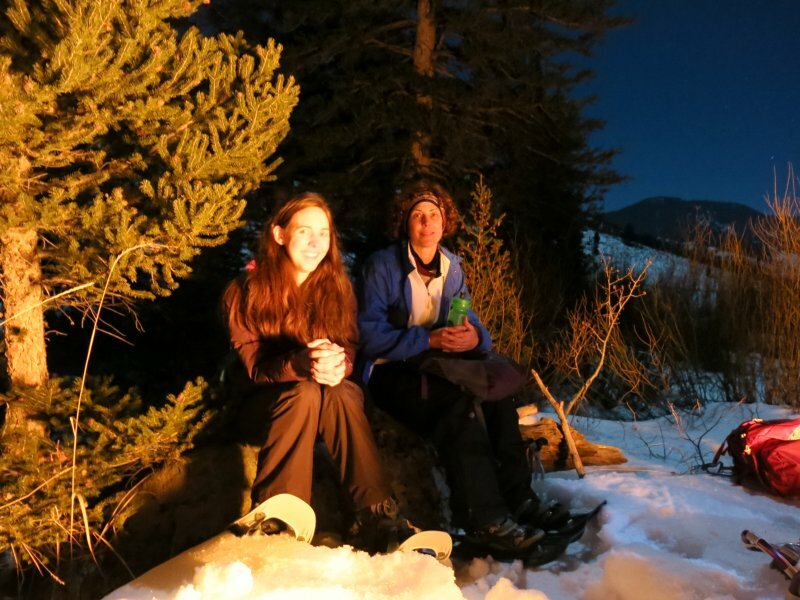 We shared tasty treats as we sat around the fire, enjoying the moonlit night and the pleasant company. The snow bench was too small to accommodate our numbers, but nearby rocks and a fence provided "overflow seating". 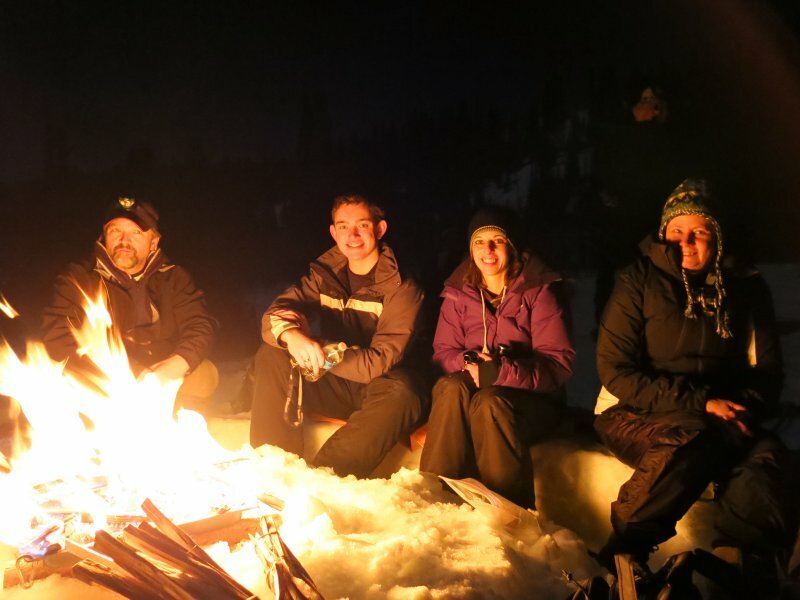 After the fire died down Dave W soaked the embers with snow and water and packed everything out, firepan and all. 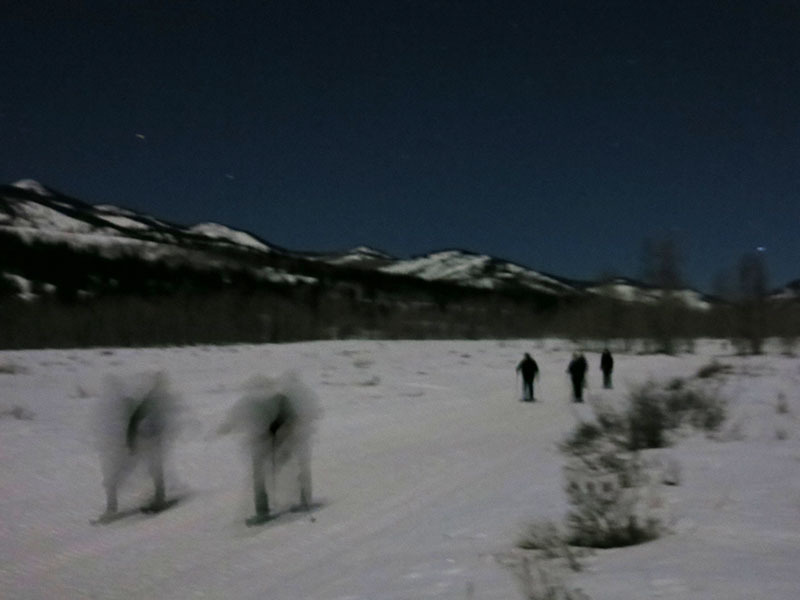 The skiers zoomed back to the trailhead on the icy snow, taking advantage of the "fastest" snow conditions we have encountered on a moonlight hike. 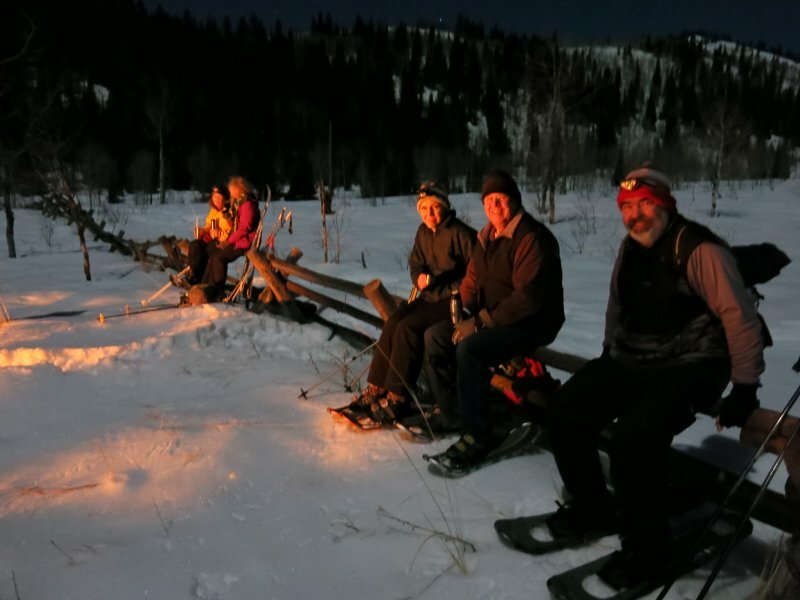 Several snowshoers carried their snowshoes back when they found the hard-packed snow on the groomed trail was strong enough to support their weight. Fritzi had the best deal, hitchhiking back in the arms of David L for most of the way.